UGSI Solutions, Inc. is pleased to introduce and release the new Polyblend® MAGNUM mix chamber* for immediate sale. Specifically, the MAGNUM mix chambers are available for sale as a retrofit to existing M‐Series emulsion polymer activation units (models M240‐M2400) or as a completely new M‐Series unit. The MAGNUM mix chamber represents a purposeful evolution of the Polyblend® polymer activation family of systems by improving the existing industry standard setting designs. Real‐world testing has demonstrated that the new Magnum mix chamber design achieves even higher viscosity solutions than legacy mix chamber configurations by enhancing the proven two‐zone mixing energy profile with the 14,000 sec‐1 G‐Value that is currently available on all MSeries units. The carefully sized volume of the MAGNUM low energy mix zone increases polymer residence time and accelerates the “hydration/relaxation” of the activated polymer chains resulting in increased viscosity and ultimate performance. 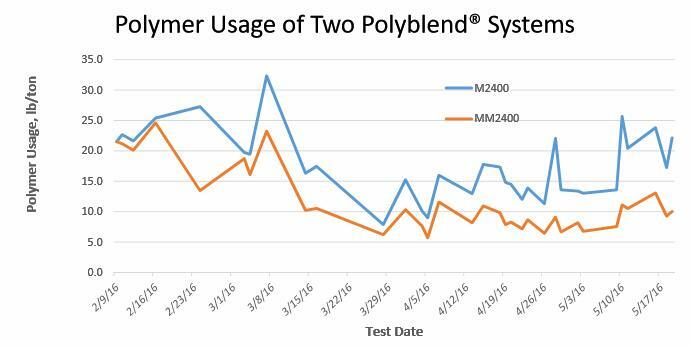 The new MAGNUM mix chamber was field‐tested adjacent to an existing Polyblend® polymer activation system MSeries unit and was able to exceed the solution viscosity by 10% and decrease polymer consumption by more than 30%. MAGNUM mix chambers will be available for field retrofits for existing M240‐M2400 M‐Series units. With over 5,000 Polyblend® M‐Series units in the field, the MAGNUM retrofit kit represents an opportunity to deliver a step‐change in polymer efficiency.